Keep your sanity this summer! It won’t be long till the kids break up for the long six week summer break – great news for them, testing times for parents. Keeping the kids occupied without breaking the bank can be a real headache, thank goodness for summer passes from The Custom House. During the summer holidays they’re offering summer passes for both Playzone and Lazerzone, keeping the kids busy and you sane! A Playzone summer pass is only £20 and allows your child UNLIMITED entry to Playzone all summer long! That's 45 days of fun - a minimum of 4050 minutes of play. 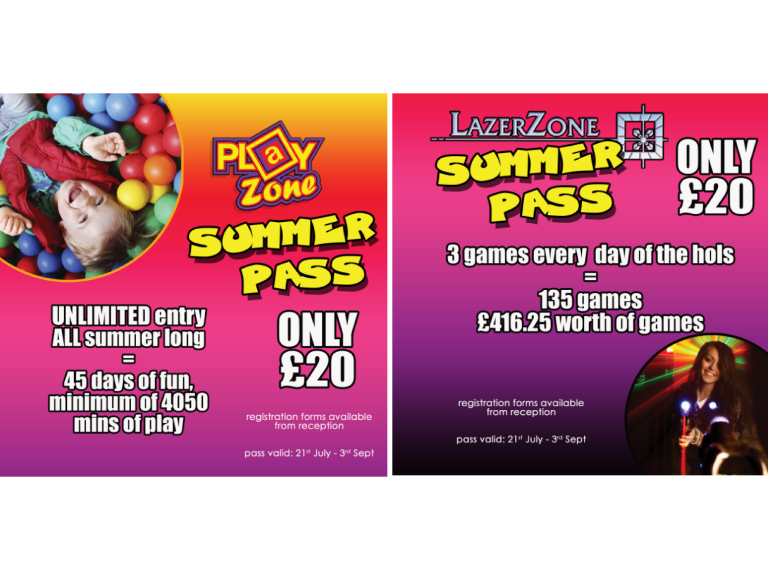 Lazerzone summer passes, again priced at only £20 entitles you to 3 games every day of the holidays! That's a whopping 135 games (£416.25 worth of games) for just £20. Incredible value for money! Registration forms available from reception, so don’t hang about, make sure you’ve got summer sorted and get your passes sorted out. So make summer that little bit easier and head to The Custom House.